Skye, Armadale Castle, interior. Interior view of hall and staircase. Description Skye, Armadale Castle, interior. Interior view of hall and staircase. >>>> Item Level (SC 974044) Skye, Armadale Castle, interior. 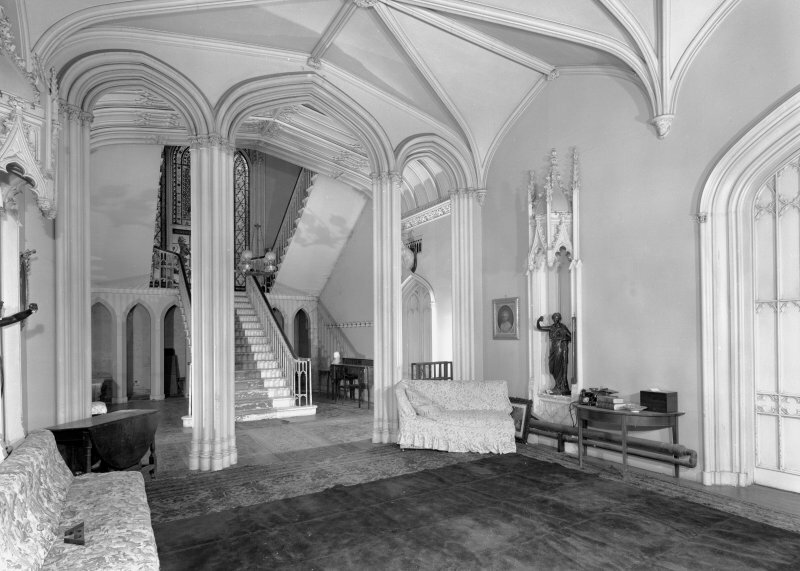 Interior view of hall and staircase.